Hi. I'm Lu, of Tomandlu and this is my Barbie page. 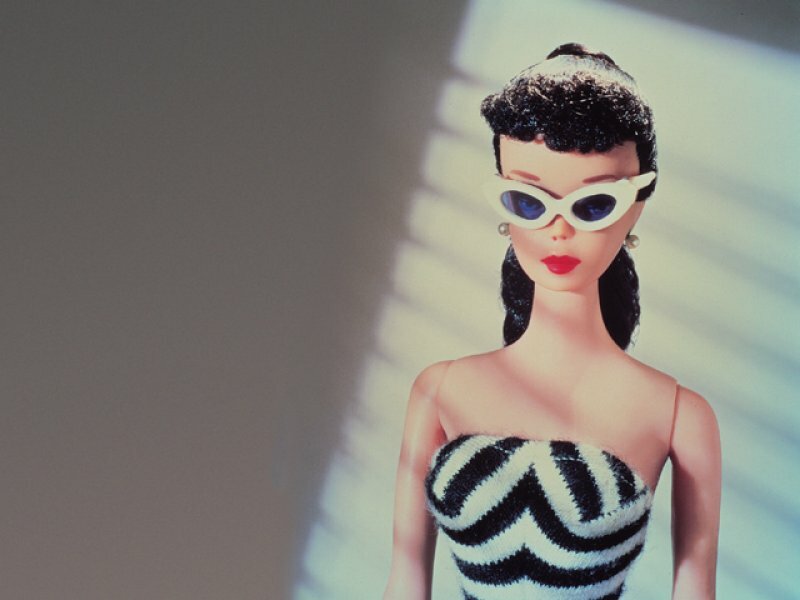 If you're not really into Barbie, read on, you may be surprised. 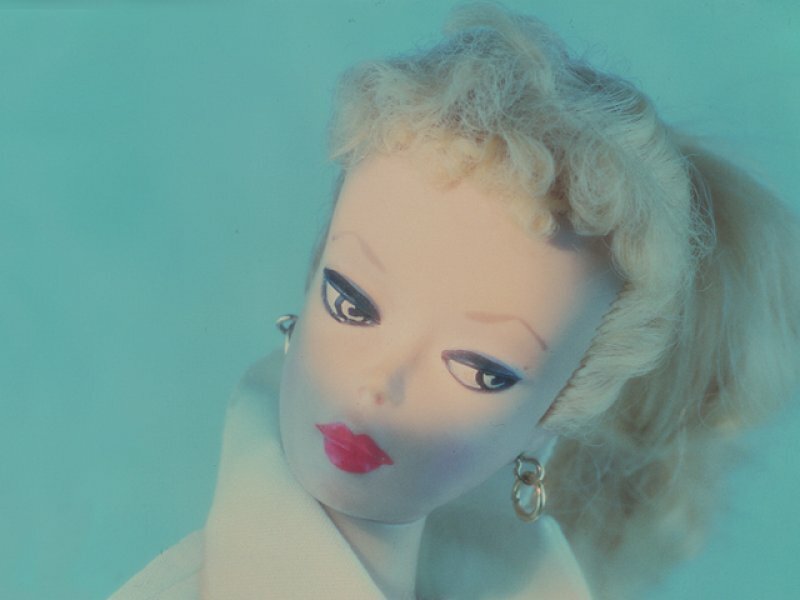 If you are already a Barbie groupie, read on ,and enjoy yet more of the myriad facets of Barbie. If you like any of the thumbnails on this page, just click on them for a link to a larger, 800*600, version. Isn't that wonderful? Barbie Gallery - My gallery of Barbie wallpapers, full-screen and tiled. Barbie is the perfect cookette, and she's never in her kitchen without a slab of LARD, Because LARD has no pretensions, Barbie feels completely at ease with it. No advertising, no gimmicks - it's pure, basic, unaffected, LARD - attributes Barbie admires. "Roast potatoes just don't taste the same if not cooked in LARD" says Barbie - and she's right. Look out for the new "Lardie Barbie". Dressed in stunning greaseproof, with a tiny packet of real LARD clasped in her hands. "There's probably enough to roast one small new potato" says Barbie. So, if you've not yet tried LARD - give it a go with "Lardie Barbie". You won't be sorry - just £20.99 will buy you "Lardie Barbie" and open your eyes to the wonderful world of LARD (comes with a "Cooking with LARD" recipe leaflet). 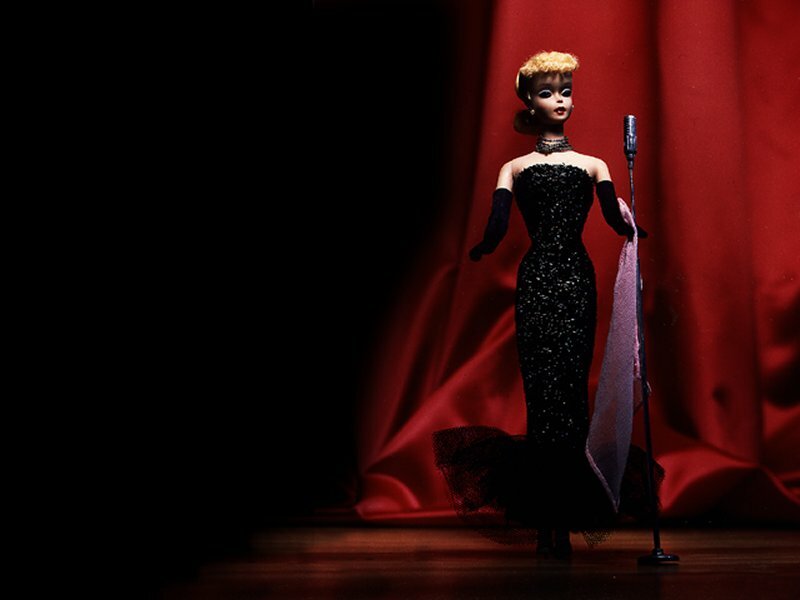 Barbie just adores music and of course, is herself an accomplished songwriter, musician and composer. Being of a somewhat diminutive stature, she understands the needs of todays modern short attention spanned youngsters for punchy short songs. "Short is the message here guys" says "Muso Barbie" . So lets hear one of her latest releases "Pink and Pretty"
Yup that's it. Pretty short huh? Grrrreat! Anyway, I'd better introduce you to" The Dreamgirls". they are:- Teresa on drums, Christie on keyboards, Kira on guitar (all metal strings, no yucky catgut), and Barbie on vocals (also songwriter, composer, promoter and general Know-it-all-Do-it-all).Muso Barbie comes with her own recording studio and a selection of 1 second songs. Other bandmembers are all extra to your introductory price of only £30.99. Dressed in scratchy hessian bra and knickers, with a plain but nicely fiting shift, "Philanthropist Barbie" carries a small flagellation accessory - a fine, birch whip. Barbie herself has never been poverty stricken, but she cares. She shares in her imagined pain of the poor, through self flagellation (note "Philanthropist Barbie" comes with wonderfully flickable wrist action). She is a volunteer worker with the "Wright Foundation", which raises money for underpriveledged kids.Currently "Philanthropist Barbie" is raising money to send some local "poor" kids for a holiday to the beach. "Ohhh, careful Philanthropist Barbie, you don't want to stretch those hard raised funds too far!" Philanthropist Barbie may be bought from any caring toyshop for only £19.99. Note the reduced price, only the cheapest for Philanthropist Barbie. As you will know by now, Barbie is many things to many people. One of them is being a Philanthropist, or do-gooder to the poor people. But this is an expensive hobby. So, in her spare time, between raffles and top of the range car boot sales, she is not averse to selling large quantities of white powder or a nice bit of green. Dressed in baggy Nike sweatpants and flashy trainers, "Dealing Barbie" comes with her very own dodgy deal - a small piece of hardwood wrapped extensively in clingfilm. "This can make a mountain of money for the needy, at no added cost" says Barbie. "Dealing Barbie" can be bought from any shady toyshop, or probably from a bloke down the Portabello for only £25.99 - though you may be able to do a deal. Oh no! How did this happen? Barbie�s going to be a mommy. Yes, she will be fat. And you thought wheelchair Barbie was in poor taste. 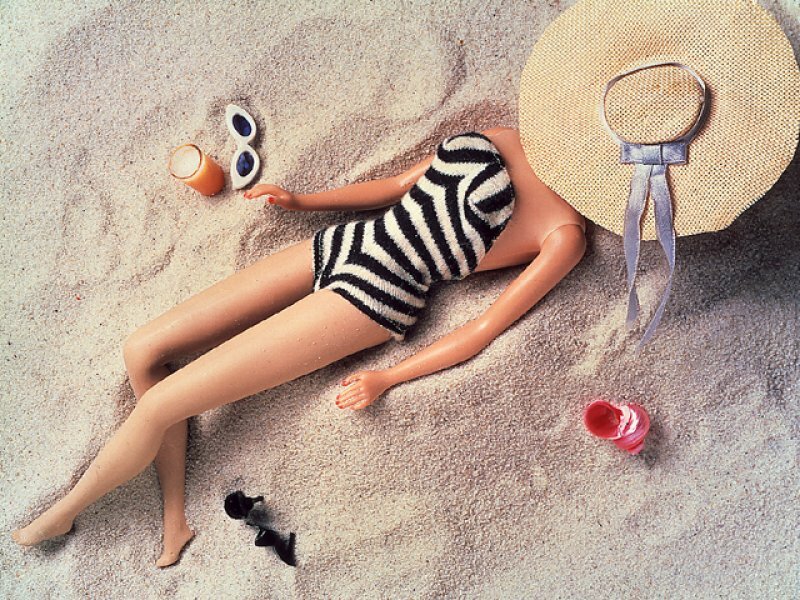 Thankfully �Mummy Barbie� comes post pregnancy and with the help of a really, nearly qualified doctor has regained her shapely, yet plastic body. Accessories include just about anything you want so absolutely no children included. They�re with the nanny so Mummy can go to pottery classes and drink way too much coffee/gin (state your preference for a tiny replica). You can buy the nanny separately; she even comes with her own box room. Because Mummy Barbie is so busy she comes with her own �Olga� to do all the housework, she costs next to nothing and you get a free Polish builder thrown in.